The Tabletop Gaming Department is here to provide attendees an inclusive place to learn new games, meet new people, and spend time recharging between exploring all the wonderful things Anime Weekend Atlanta as to offer. Visit our Gaming Library where we have a wide variety of games to match any interests, play styles, and time constraints you may have during the show. You also have a chance at winning prizes by participating in many of the fun activities and tournaments we host throughout the weekend. Visit our new Play to Win room for a chance to take home a brand new board game or go to our TCG Arena to meet the amazing staff from The Final Dungeon to enter in one of our card gaming tournaments. All of our volunteers are there to help by answering any questions you may have and they’re even there to play and teach you new games! Some of you may be asking, what is Play to Win? Well, the answer is simple. If you play games, you have a chance of winning games! The rules are simple. First, find people to play with! You can play with anyone you wish. This can be friends, family, or even other attendees. Once you get your group together, pick your game. We will have a selections of games for you to choose from in our Play to Win room. These games will be different every year, so if you see one you like, it most likely wont be back on our prize shelf. Now that you have your game, locate our friendly volunteer in the room. All they will need from your group is one ID and the name of the game you are playing. Next comes the fun part, you actually get to play the game! Find a spot anywhere in the Play to Win room or in one of our Board Gaming rooms to sit with your group and play. The next steps don’t come until after your done. … … Have a winner yet? Awesome! Once your group is done, EVERYONE must return to the Play to Win check out counter to receive their raffle ticket so one of our friendly crew members can give you your ID back. Every player gets a raffle ticket for the specific game that was played, however, the player must be present to receive the raffle. To some of us, winning is everything. And we all want to take home that brand new copy of some random game we never heard of so we can brag to our friends and family. However, in order to win, you must be present at our raffle with your ticket in hand! And I know we all want our ticket to be the pulled out of the hat at the end of the weekend, however, you might not have to wait that long. We have two raffle drawings. See dates and times below and remember they are subject to change so make sure to check back so you don’t miss your drawing! Join us October 31 - November 3, 2019! Register Now! AWA, or Anime Weekend Atlanta, is a 4 day convention that takes place at the Cobb Galleria, the Renaissance Waverly Hotel in Atlanta, Georgia. This year's AWA will be held October 31 - November 3. 2019. AWA runs 24 hours starting Thursday afternoon to Sunday evening. AWA is a celebration of Japanese culture, anime (animation) and manga (comics). To get the latest AWA updates straight to your inbox monthly, please subscribe to our newsletter! 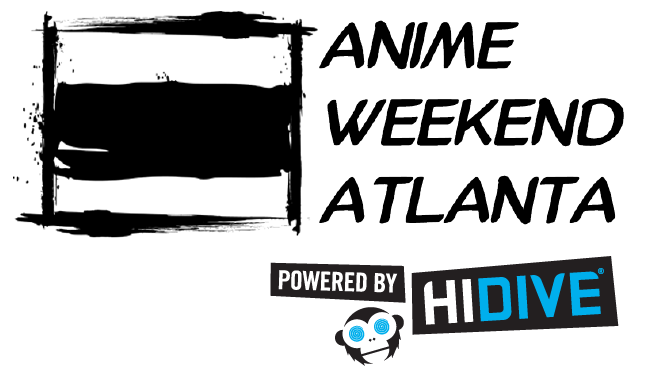 © 2019 Anime Weekend Atlanta.